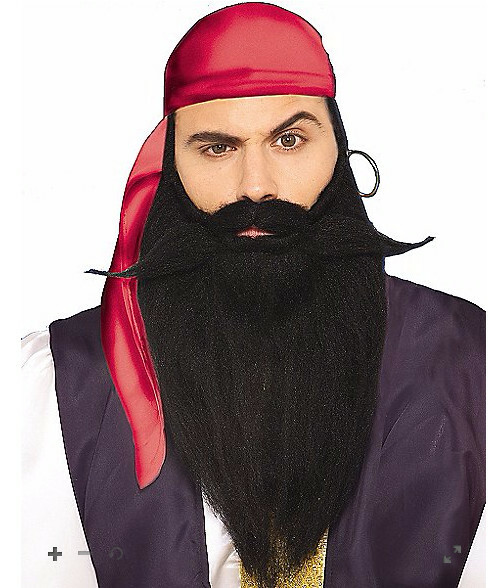 Okay, I have my own thing with pirate costumes - I'm stretching toward the most authentic I can construct. This involves a lot of research, recreation of old patterns, and hunting for authentic materials I can actually afford. But YOU just want to be a pirate for Halloween, don't you? So, with that holiday coming up, here are some links to stuff that looks really cool, but that I'd never be able to use in my hyper-realistic pirate costumes. Next is an item that is so cool I'm actually trying to figure out a way to use it myself. Two odd socks.. One with the traditional pirate stripe pattern, the other with the wooden design of a peg leg! I love this! Lots of guys, especially, like to add some humor to a costume. This fill the bill without being stupid or gross. This also happens to be the inspiration for this article. I just needed to share these things. 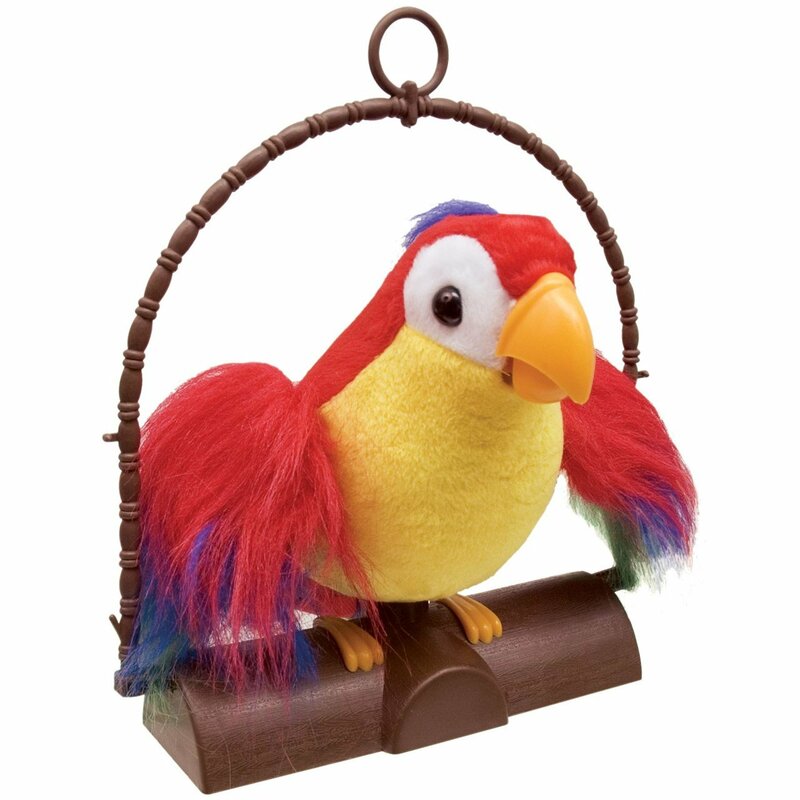 The item is called Squawkers Macaw, and it's part of the Fur Real Friends line of robotic pets. At a distance he could pass for a real parrot, though up close the clicking and whirring of his mechanical innards can be heard quite clearly. I have a ren fair pirate with a Squawkers on his shoulder. He had stripped off the fake fur covering, and replaced it with hand-laid real feathers. It was an incredible look, but he didn't want me to take a picture. There are cheaper mechanical parrots, of course. "Pete the Repeat Parrot" repeats whatever you say, but the quality just isn't there. Large costume stores also feature various forms of make-believe parrot, including some that are covered with real feathers. My favorite of these, however, is the inflatable version. If you're going to have a silly pirate mascot, you might as well go all the way. My last offering is simply the suggestion that you get yourself a real sword rather than a plastic one for your pirate costume. It's true that real swords can run hundreds of dollars, but there are ways around that. The next question is why NOT to have a real sword. The answer here is that you can actually kill a person with one. You can get around this by zip-tying the sword in its sheath, or mostly in, so you can still show it off a little. Or take it easy on the rum, Your decision, mate, but I like to carry the real thing and just not act like a jerk. So, where do you get a real sword without breaking the bank? One great place is your local sporting goods store, which probably carries machetes in the camping section for under $20. A modern machete looks a lot like an old-time sword, and the price is right. 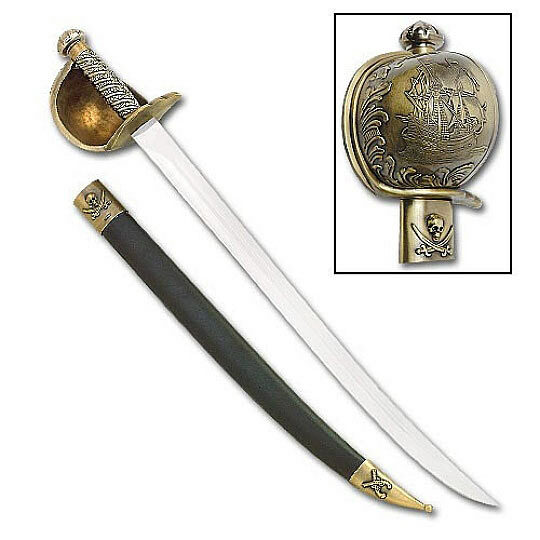 Or you could go here for a more pirate-y sword with a reasonable price tag. It's the cheapest place I know to get a reasonable-looking sword. If you are planning to make this pirating thing part of your life, you could do worse than to invest in a an actual blade to go pirating with. I'd also like tell the story of how I got my won cutlass. I was in theater, and needed a sword for a production. This was theater at it's cheapest... I needed to buy the sword with my own money, or we would need to make a cardboard sword and cover it with aluminum foil. I set out to my local flea market, looking for a King Arthur type sword. I couldn't find one, but I did come across a classic pirate cutlass. It seemed to be the only sword in the market, and it was a good size for me and only cost $12. I'm a believer in Fate, and in receiving messages. At the time, I wondered the universe sent me a pirate cutlass rather than what I had wanted. It was years later that I realized that , yo ho ho, this was the part of the pirate life that was just what I had needed.